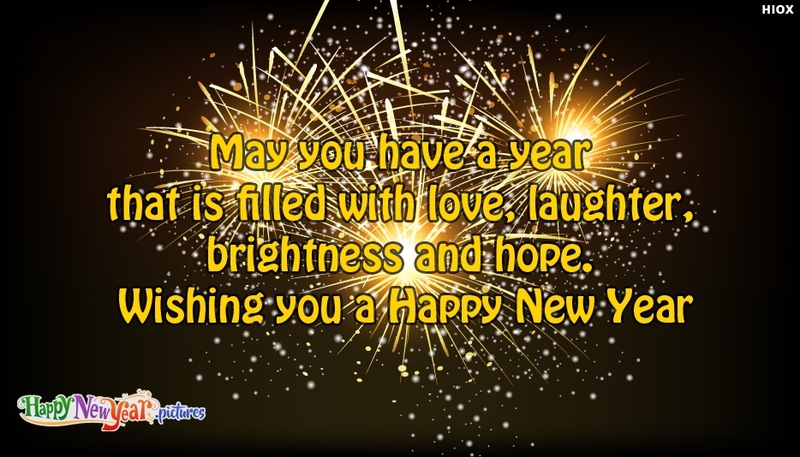 A beautiful new year wish quote to send to your dear ones. Wish your dear ones a lovely and a love filled and fun-filled new year by sending this Happy New Year picture with the message "May you have a year that is filled with love, laughter, brightness and hope. Wishing you a Happy New Year".